PRC Excavation And Concrete, Inc. Comment: My car rolled into my garage door. Comment: Install new garage door opener. old one already taken down. Comment: The garage door opener works sporadically. It often times wont work when the car is in the garage, but works when out of the garage. It only does this with one of our cars. Most of the time it works fine, but other times not. Very frustrating. Comment: I'm looking for the cost to build a 34'x24 (816 sf) shop with T1-11 siding, a comp roof, vinyl windows, metal gutters, and a full bathroom. Comment: Garage door spring broke. Eugene Garage & Garage Door Services are rated 4.79 out of 5 based on 242 reviews of 23 pros. 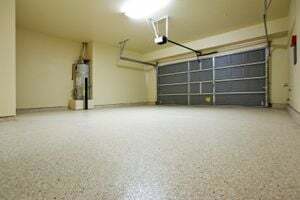 Not Looking for Garage & Garage Doors Contractors in Eugene, OR?